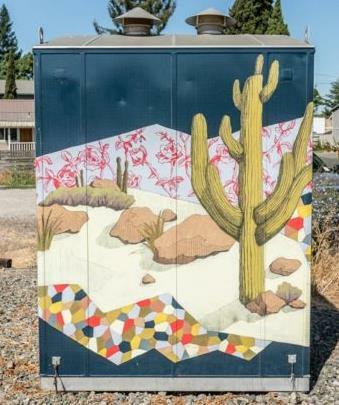 Public Works has been working in collaboration with Economic Development to pilot the City’s first ever Utility Box Art Program. 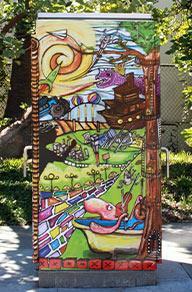 The program will have a dual purpose of 1) reducing the financial cost of removing graffiti from frequently-hit boxes downtown and 2) enhancing the downtown area with vibrant public art that showcases local artists and artwork that depicts San Rafael’s cultural diversity, historic heritage, and key activities that take place in the area. 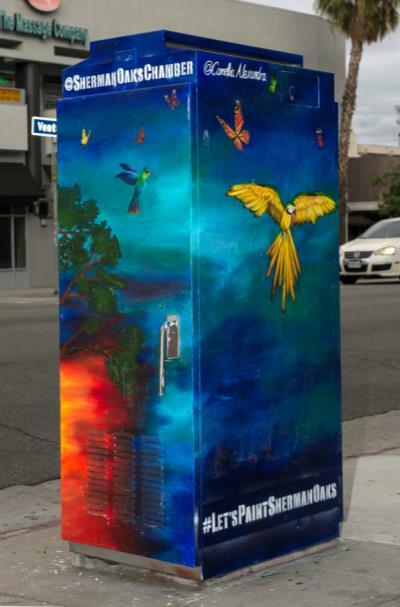 Our team has identified several frequently tagged utility boxes downtown that could benefit from some quality artwork, but staff would like to start by picking just one box as a pilot for the program to see how the community responds. There have been several impressive artist applications submitted and one local artist that we are eager to work with. We hope this graffiti prevention strategy – that has been successful in neighboring cities – will not only deter taggers but also mark the beginning of bringing beautiful art to unexpected places of San Rafael.